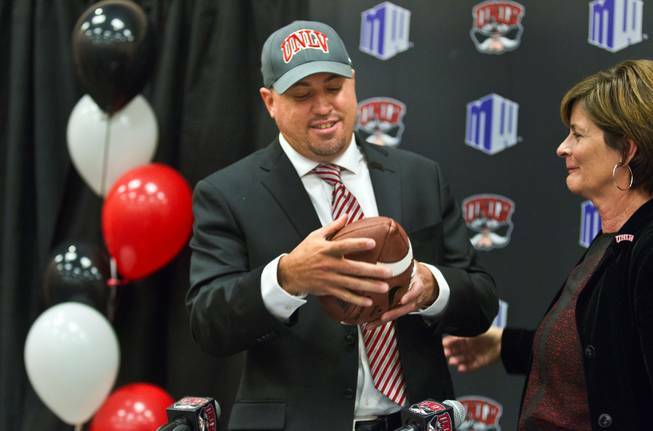 As of this afternoon, Tony Sanchez has been unanimously approved to start his 4-year, $2 million coaching contract for UNLV's football program. UNLV's board of regents has unanimously approved Tony Sanchez's head coaching contract. The speculation that UNLV would hire Bishop Gorman high school coach Tony Sanchez to replace Bobby Hauck was confirmed and made official. Pending confirmation by UNLV's board of directors, Sanchez will be the next head coach of the Rebels, and will be granted a $500,000 per year salary. Starting over the next few weeks, he will have to start building his coaching staff and looking to recruit some players. 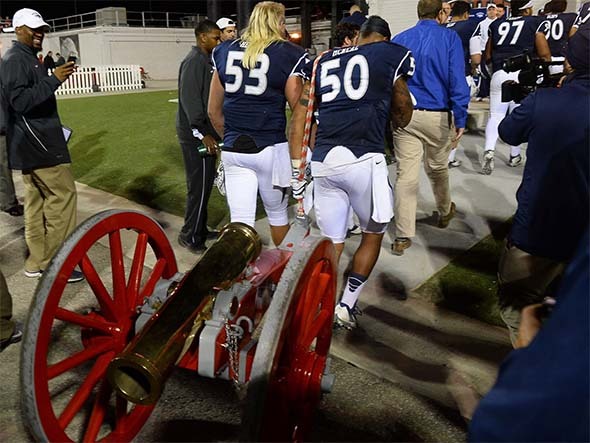 Sanchez helped establish Bishop Gorman high school as a top-ranked high school football program in the nation. He compiled an 85-5 record and won six consecutive state championships, as well as a No. 1 overall national ranking after their most recent championship. 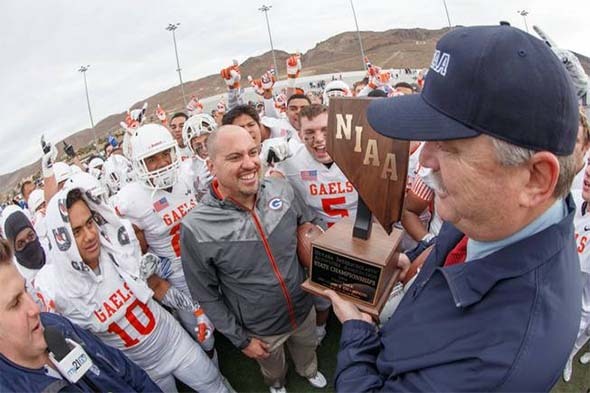 In addition to dominating Nevada schools, Gorman has also won victories against some powerhouse out-of-state schools (including beating California's #1-ranked Centennial High on their home turf), which cements their status as a top national team. In addition to being a successful high school coach who has already turned around some high school programs, he also comes with some intangible benefits. For one thing, he could potentially sway some of his current Bishop Gorman players to sign with UNLV, thus bringing national-caliber athletes to UNLV - something that former coaches Sanford and Hauck could not do. But this is only a temporary benefit. Within two or four years, all players who had associations with Sanchez will have graduated from Gorman, and he wouldn't have the relationship or sway with later students. after a 70-28 victory over Sparks High School (Reno, Nevada). This means that expectations will be very high for Sanchez right out of the gate, especially if he can land a few top-tier recruits this coming spring. Despite looking good on paper, this hiring is not without controversy.